Weich shell and beautiful core: Photobooks with softcover scroll like high-quality magazines and offer the perfect frame for your snapshots - as memorabilia or as a nice gift idea. And for that you do not even have to dig deep into the bag: With this exclusive action in cooperation with the photo specialist PixelNet, COMPUTERBILD readers get a 50 percent discount on premium softcover photobooks! The highlight of this action: Your advantage code cbpremiumsc2017 you use within the action period, as often as you like. You will also get the full discount of 50% on the respective sum in your shopping cart! Softcover photo book in A4 format (matt or glossy): The starting price including discount is 7.98 Euro (20 pages, matte paper). The book can be upgraded in 4-step increments of 2 Euros to 68 pages. The largest premium book (glossy) usually costs 59.95 euros; You pay including discount only 29.98 euros. Softcover photo book 20x20 cm (matte or glossy): This photo book also has at least 20 pages and can be expanded to 68 pages. Starting price (matt): 6,98 Euro instead of 13,95 Euro. Binding: The softcover photobooks have a leporello binding. The advantage: your photos lie flat, without disturbing curvature towards the center. Design: You can design all pages with background, text, graphics and more. To do this, either use the free PixelNet software , or upload your images in the browser by selecting the desired bay type. 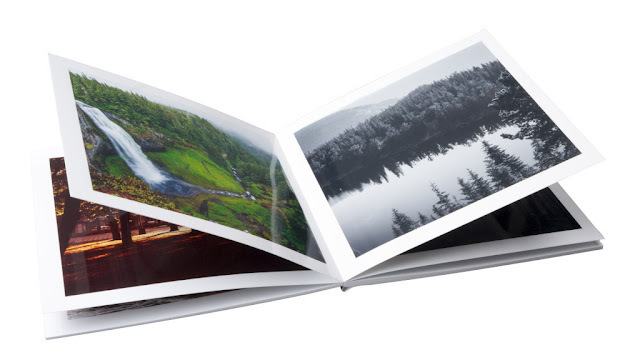 Premium Photopapier: It is hardly any better: your pictures are exposed on real photo paper. This exclusive action runs until April 17, 2017 . You can order your photo book and design it directly on the PixelNet website . With the PixelNet software , of course. If you are already a PixelNet customer, sign in with your username and password . If not, registration is required. At the end of the ordering process, enter the coupon code cbpremiumsc2017 into the input field provided for this purpose. The shipping costs 3.95 EUR, abroad 10 euros, PixelNet not deliver to Switzerland. Applies only to premium softcover books A4 and 20x20 cm (matt and glossy). The code can be used several times.